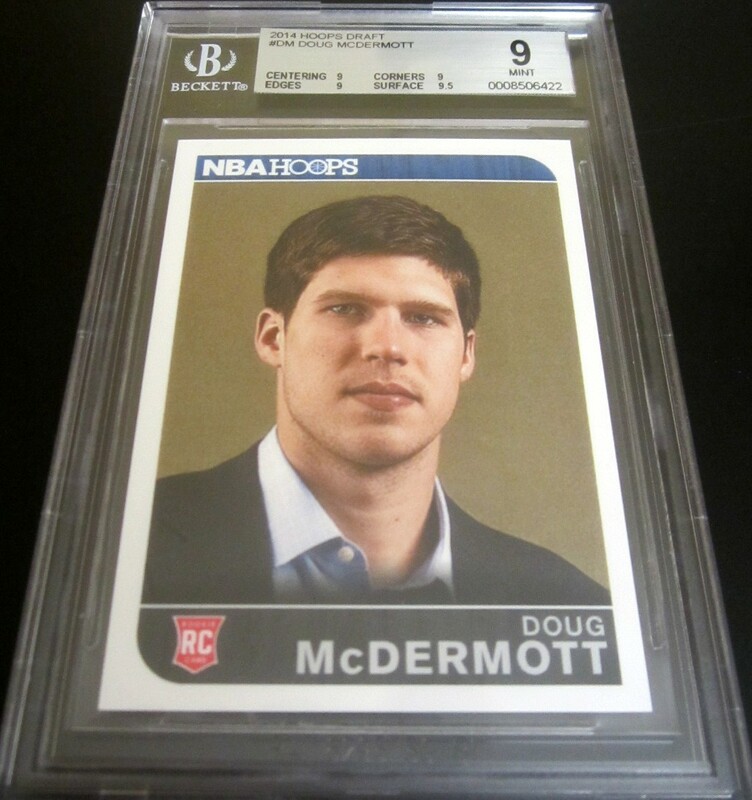 RARE 2014-15 Panini Hoops NBA Draft Rookie Card of Doug McDermott distributed in extremely limited quantities graded 9 (MINT) by Beckett Grading Services (BGS). This card is 1000 times rarer than any of his other Rookie Cards. ONLY ONE AVAILABLE FOR SALE. 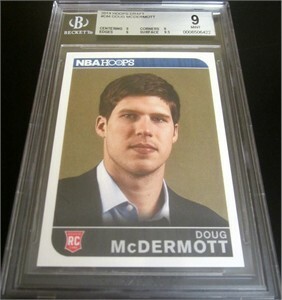 McDermott was the #11 overall pick of the Denver Nuggets after starring at Creighton.